With locations in Atlanta, Nashville, and Chattanooga, Thrive Homes is a builder with over 70 years of experience. Known for quality craftsmanship and strong attention to detail, this Atlanta-headquartered team sure does know their stuff! Atlanta’s communities are both located in the Atlanta district of Decatur, in Dekalb county. 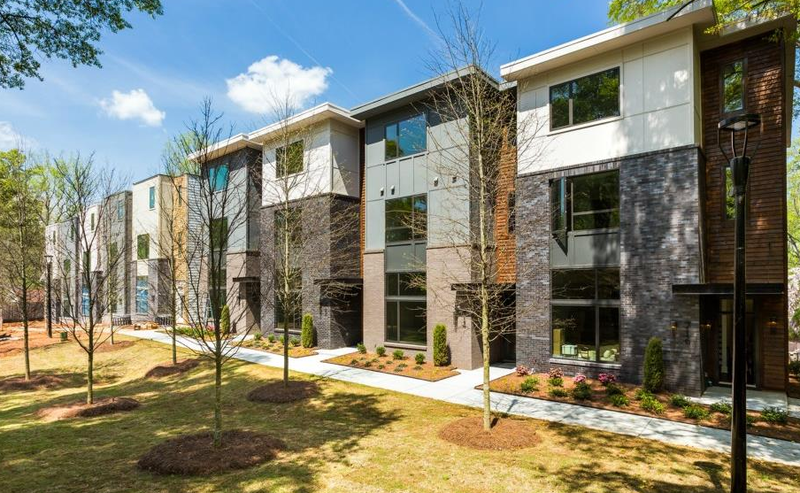 As the most recent winner of Community of the Year in the Attached category, Thrive Homes’ 712 Oakview is one of the builder’s two communities in the Atlanta area. This gorgeous townhome neighborhood has a contemporary style with interesting features throughout. Each property boasts a 2 car garage, private terrace level, 3 to 5 bedrooms, and 3.5 to 4.5 bathrooms. The other Atlanta community, Cottage Grove at Hibernia, is comprised of single family homes in downtown Decatur. They all have adorable porches with gathering lawns around the neighborhood. Each property has 3 to 5 bedrooms, 3 to 4 bathrooms, a 2 car garage, and were built between 2014 and 2015. The style of the community is very picturesque and has a true cottage feel. If you are on the hunt for a beautiful community in the heart of the city, please take a look at these neighborhoods by Thrive Builders. you won’t be disappointed!